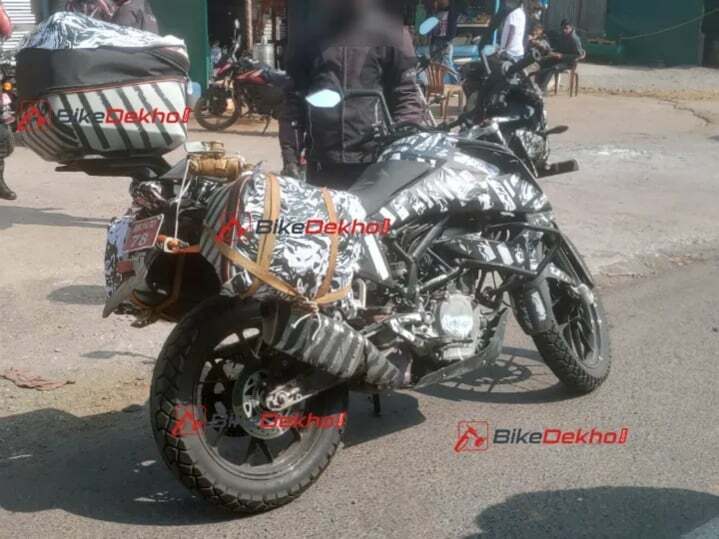 KTM 390 Adventure has been spotted testing in India again. However, this time, it is seen with touring accessories including saddle bags and a top box. KTM 390 Adventure is long due in the Indian market. Last seen in 2018 Auto Expo, it is still under the testing process. Here are some new spy shots of the bike. Looks like the bike is almost production ready. This time, 390 Adventure has been spotted with touring accessories. It gets saddle bags on both the sides, a tail-mounted top box and dual-purpose tires. The spotted test mule looks similar to the earlier spotted one. We expect KTM to offer these accessories as optional fitments. Standard fitments might include a crash guard, engine cowl and knuckle guards. KTM 390 Adventure will be based on the platform on Duke 390, but will get some changes in order to make it off-roading friendly. As said earlier, the engine on both the motorcycles will be the same but in a slightly different state of tune. The global-spec 390 Adventure has been spotted testing with spoke wheels. However, the Indian version gets alloy wheels, as seen with the test mules. We believe alloy wheels and spoke-wheels will be available with the bike. For engine purposes, KTM 390 Adventure gets the 373cc liquid-cooled engine borrowed from Duke 390. The engine will be tuned for better low-end and mid-range torque generation. The engine produces 43.5 BHP and 37 Nm of peak torque. The bike comes mated to a 6-speed gearbox. Features onboard will include well-padded and wider seats, dual-channel ABS as standard fitment, different riding modes and a fully digital instrument cluster (probably with GPS Navigation). Everyone was expecting the bike to make an appearance at the EICMA 2018, but it did not. 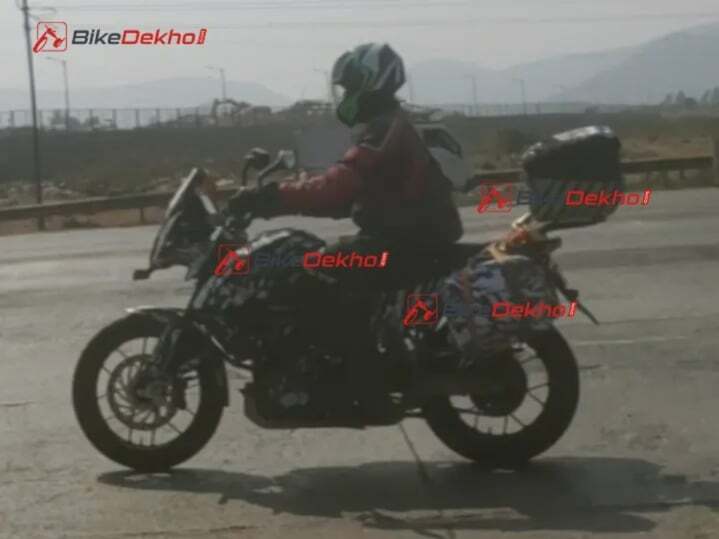 As per the latest speculations, the bike will be launched by the end of 2019. The expected pricing of KTM 390 Adventure is around Rs 2.5 Lakhs- Rs 3 Lakhs, easily. At this price, it will compete with the likes of BMW G 310 GS, Kawasaki Versys-X 300 and Royal Enfield Himalayan.